Rosalind Jones was found safe Saturday night. 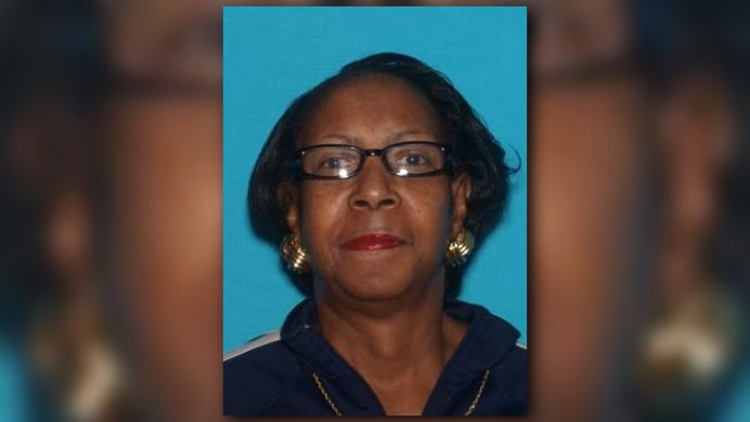 FERGUSON, Mo - An endangered person advisory has been issued for 59 year old Rosalind Jones. Jones was last seen leaving her residence at 233 Henquin in Ferguson on Thursday, November 15. She suffers from dementia and bipolar disorder and is said to be without her medication. Jones was last seen wearing a black hat, black coat and glasses. Anyone with information on her whereabouts is asked to contact the Ferguson Police Department at 314-522-3100.